it is Saturday morning and i have no lightbox. 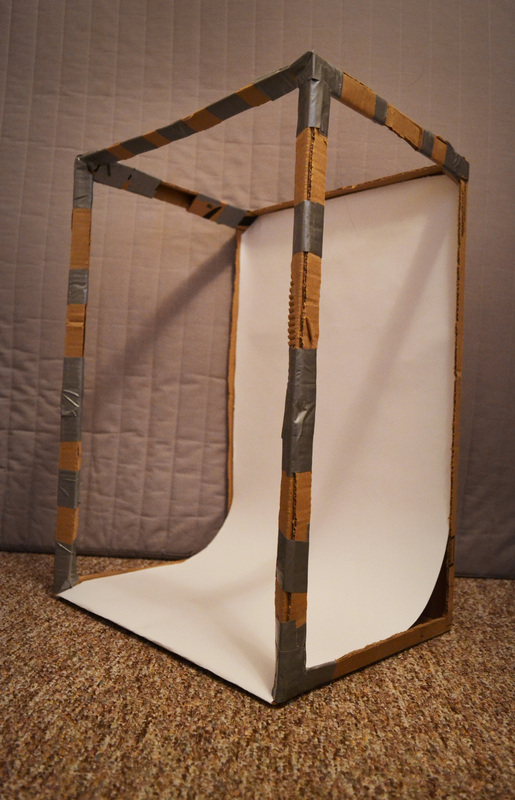 i do have a cardboard box and a boring white pillowcase, but neither of these things is a lightbox. thankfully, we are clever monkeys, and we can turn boring things into awesome things. we live in a magical world. a world where if you ask for an inch, you can get almost exactly one inch. 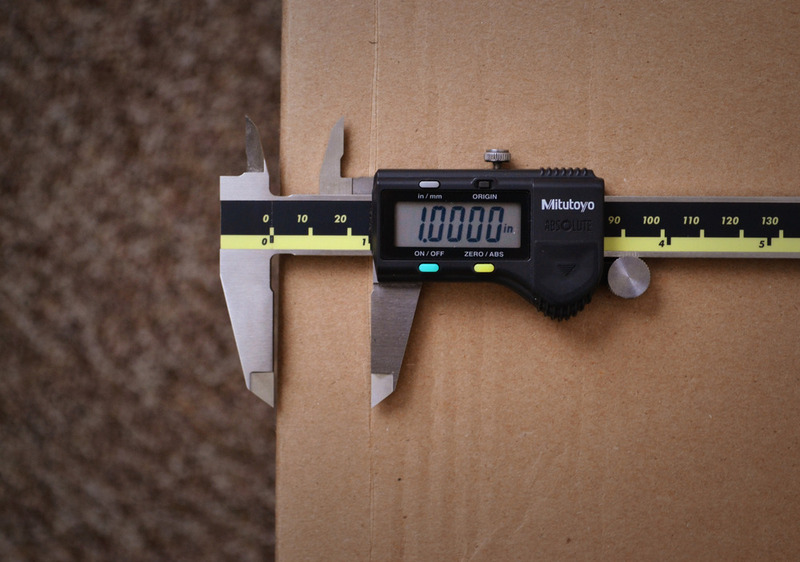 you can run your calipers down the side of a box, scratching a thin line exactly 1 inch from the edge. it is fast and easy! your ruler and pencil will not be missed. then you can scissor up those lines, and it will look like this. but scissors are only useful for cutting flaps. a craft knife is better for cutting holes in the sides. if you lack a craft knife and won't go to the store, a fruit knife will do. i am an art knife, but sometimes i cut fruit. 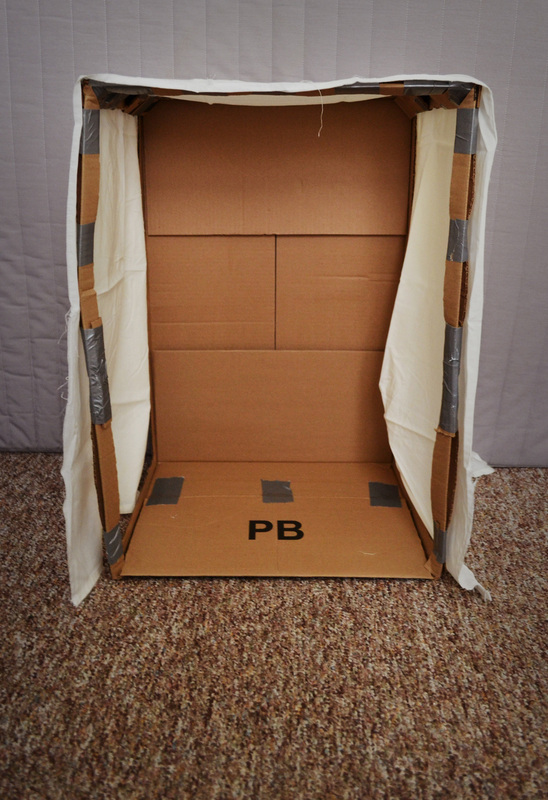 i have a box, but i only want the form of a box. i will keep cutting until just the form is left. 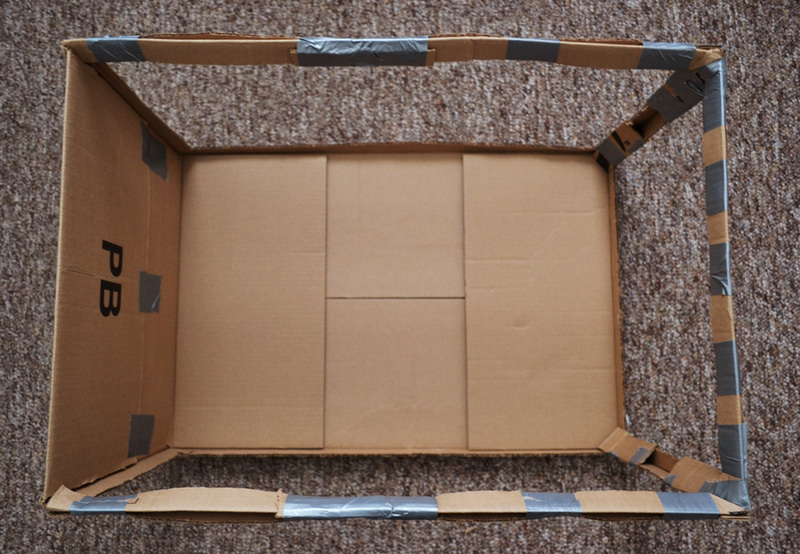 bereft of box, the form is flimsy, and must be strengthened. and now dear pillowcase, lend your feel to the form. i sailed away on a sea of spinach for several hours. but now i am finally ready to go to The Store. they are labelled '24-inch square hardwood dowels'. they are sticks. armed with sticks and paper, i continued adorning my box-form. the sticks were taped into the front edges for strength. the paper was hung from rear-edge to floor to create a seamless white background. the pillowcase and cardboard box have been born anew. it is time to photograph my favorite things: circuit boards. #1, DSP 01. my first digital signal processor. two input channels, six output channels, 24-bit data converters everywhere. i'll be writing about this one pretty soon. #2, Printed Cubist Board. 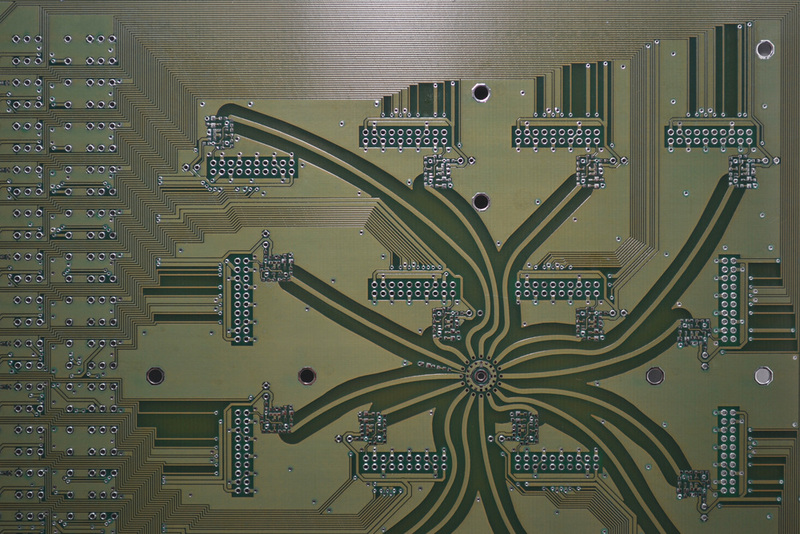 the most time-consuming circuit board design in my short career. partly because it's huge and crazy, partly because I had no idea what I was doing when i made it.